Combine the strawberries and blueberries in a small bowl. Add 1 tablespoon of sugar and the orange liquor and toss together. Let sit for 10-20 minutes. Pour the heavy whipping cream into a mixer fitted with the whisk attachment. Whisk on a high setting until the liquid thickens into a fluffy cream. While the cream is whisking, add the additional 3 tablespoons of sugar slowly. Taste – and then add more sugar slowly as needed. 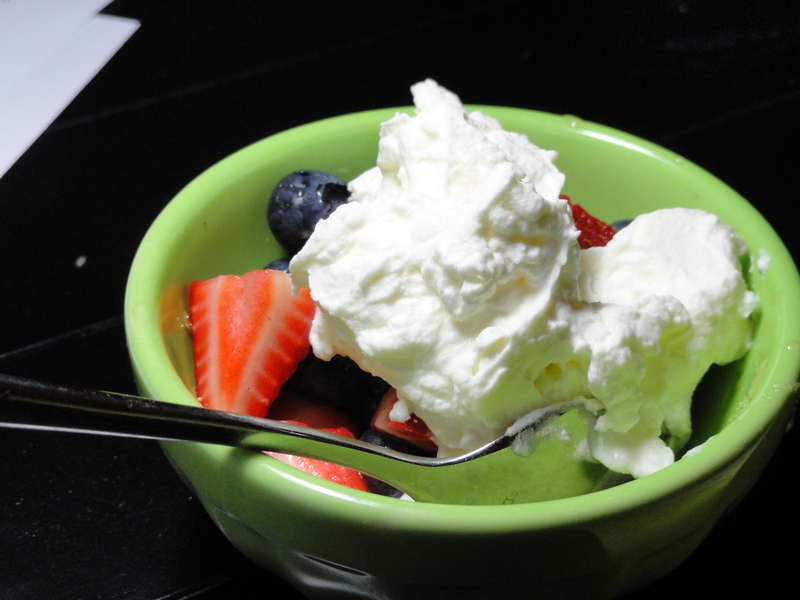 Put the berries in a small bowl, (or better yet over some pound cake!) and top with the whipped cream.